For Christmas my daughter was given a book as a gift called Funny Pets. 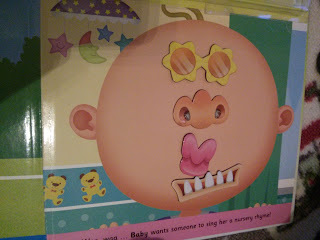 The book is part of a Magnetic Funny faces series by Top That Publishing. Since Christmas this book has provided us with hours of entertainment. The book, like all of them in the series, contains over 30 different magnetic features. Each page in the book contains a blank face and a story underneath. You can then choose to create a serious face or create something comical. What's great is that there are hundreds of different possibilities as features can be mixed from other books creating even more fun. My eldest is very much into stickers at the moment. Any surface she can find to stick a sticker on she usually does. 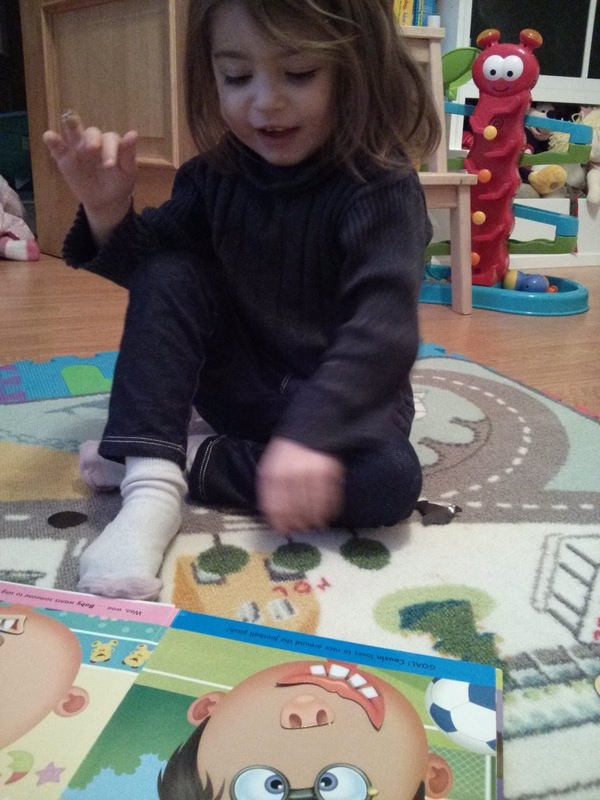 This book is perfect for her because the magnets allow her to stick, which gets the sticker fixation complete, and then re use. The magnetic features can then be easily stored in the compartment attached to the book ready for use again. When I opened the envelope from Top That Publishing, my daughter got ever so excited when she saw that Magnetic Funny Families had arrived. She took the book from me straight away and settled down to create some family faces. 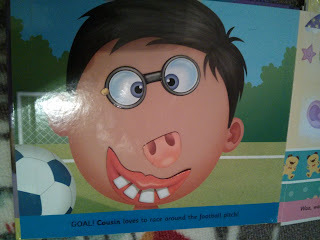 The book is also perfect if you are teaching little ones different facial features and where they go, or the number of features, i.e. 2 eyes, 1 mouth etc. The book is recommended from 4+, I think that is more to do with the size of some of the magnets, as my 2 year old loves playing with these books. I cannot recommend Magnetic Funny Families enough. It is a great way for me to keep my 2 year old entertained and she gets so much enjoyment from this book. Oh this book seems witty :D Enjoy! It is really good fun worth giving a go!